Situated at a height of 1200 meters above sea level, Mount Abu is the only hill station in Rajasthan. This beautiful town, which is located at the southern tip of the Aravalli hills, is one of the most beautiful places in Rajasthan. Mount Abu is also known for its Dilwara Temples and the annual summer festival that attracts thousands of tourists from all over the world. A very important pilgrimage center for the Jains since the 11th century, Mount Abu has been home to many saints and sages since times mmemorial. Legend has it that Mount Abu is home to the 330 million gods and goddesses of the Hindu pantheon. A number of magnificent and beautiful temples dot the entire landscape of Mount Abu, which was formerly known as Mount Arbud. This picturesque town was the favorite summer retreat of the Rajputs rulers and later the British. The glorious past of this region continues to live in its old temples and monuments that stand out proudly among the green hills. For anyone visiting Rajasthan, it would be a great idea to travel to Mount Abu and explore the beautiful region. 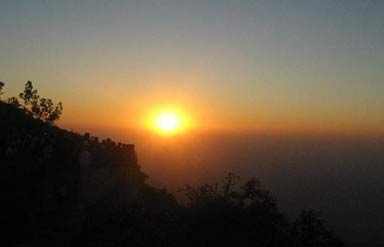 The best time to travel to Mount Abu is from Feb. to Jun and from Sep to Dec. Some of the most famous tourist attractions you can visit when you travel to Mount Abu are listed below. The beautiful and elegantly carved Dilwara Temples can be dated back to the 11th and 13th centuries. Made in pure marble, these temples are dedicated to the revered Jain Tirthankaras and are superb examples of Indian medieval architecture. For anyone who would like to travel to Mount Abu, this is a must visit site. The Gaumukh Temple is located 2 km away from Mount Abu and is considered to be site where sage Vashistha performed a big yajna (fire sacrifice). 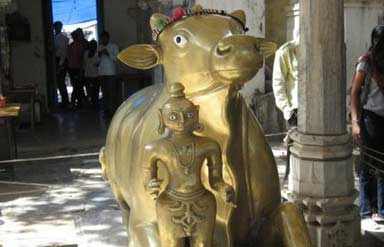 The shrine takes its name from a natural spring here, which flows through the mouth of a sculpted cow. The water of this spring is believed to have medicinal properties. Situated at a short distance away from the beautiful Nakki Lake, the Sunset Point offers a spectacular view of the sunset over the hills of Mount Abu. This picturesque site is one of the most favorite tourist spots in Mount Abu. » Road: The Rajasthan government runs a number of deluxe buses from Jaipur and Abu Road to Mount Abu. Besides, Mount Abu is also well connected by road to Delhi, Udaipur, Ajmer and a few other places in Rajasthan. » Rail: The nearest railway station is Abu Road, which is 22 km away. There are also a number of trains connecting Mount Abu to Ahmedabad, Jaipur, Mumbai and Jodhpur. » Air: The nearest airport is the Udaipur airport that has daily flights from Delhi, Mumbai and Jaipur. 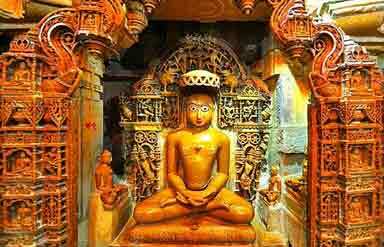 Caper Travel India provides tour packages to Rajasthan & Mount Abu. For more information or to book a tour, please enter your query in the form given.